After the meeting between Prime Minister Binyamin Netanyahu and Defense Minister Avigdor Lieberman failed to bridge the gap towards stabilizing the coalition and preventing early elections, a number of Likud officials are working to persuade Lieberman to change his position. Walla News quotes sources within the Likud saying, “The chareidim compromised significantly and now, it is up to Lieberman”. 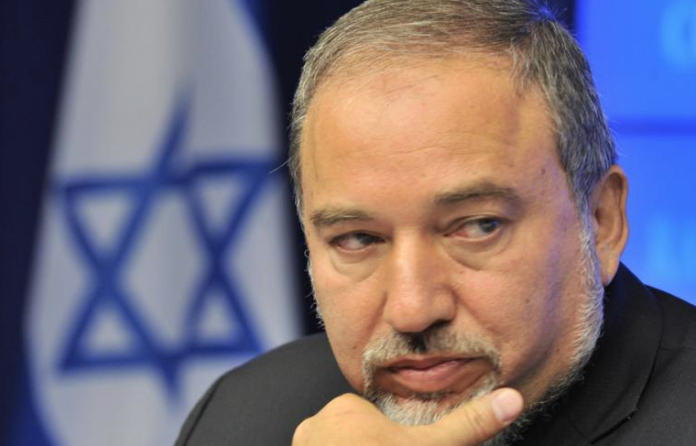 Lieberman and PM Netanyahu met on Monday evening, but failed to reach agreement. The Ministerial Legislative Committee is set to meet at 6:00PM Tuesday evening, 26 Adar, to hear the appeal filed by Minister Sofa Landver against the new draft bill, which the committee approved. Landver, who is a member of Lieberman’s Yisrael Beitenu party, voted against the bill. After the committee approves the bill again, the Knesset is scheduled to vote for it and pass it in its preliminary reading, as was promised to the chareidim would be the case. If Lieberman accepts the current compromise situation, it would mark the end of the coalition crisis and permit the government to continue. If he does not, then Mr. Netanyahu said he would dissolve the coalition and opt for early elections as he is unwilling to continue with a majority of one vote, which would be the case after Yisrael Beitenu resigns or is ousted from the coalition.